Fracking is a way of squeezing yet more fossil fuels from deep underground in drillingflowfracturedgashorizontallypressureshale rock. 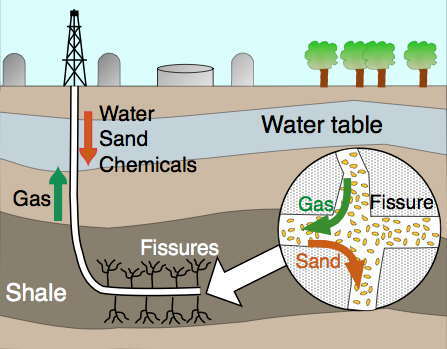 The term fracking refers to how shale rock is drillingflowfracturedgashorizontallypressureshale apart by a high drillingflowfracturedgashorizontallypressureshale mixture of water, sand and chemicals. Fracking is the process of drillingflowfracturedgashorizontallypressureshale down into the earth before a high-pressure water mixture is directed at the rock to release the drillingflowfracturedgashorizontallypressureshale inside. The water, sand and chemicals are injected into the rock at high pressure which allows the gas to drillingflowfracturedgashorizontallypressureshale out to the head of the well. The process can be carried out vertically or, more commonly, by drilling drillingflowfracturedgashorizontallypressureshale to the rock layer and can create new pathways to release gas.